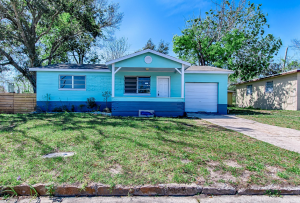 We Buy Houses in Daytona Beach, Florida! Call (855) 741-4848 Today For Your CASH Offer! 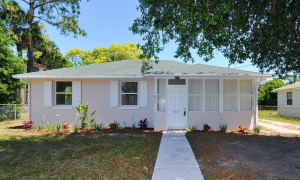 Dependable Homebuyers is an investment company buying residential properties in Florida. 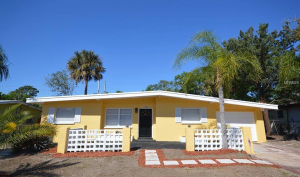 We buy houses in Daytona Beach directly from owners without any involvement of listing services or realtors. If you own a property and you want to sell it, then you should give us a call or fill out the online form and submit for a quick viewing and inspection. We will immediately have a purchase offer for you and you can sell the property in within an unprecedented span of time. Dependable Homebuyers can give you a purchase offer within twenty four hours of the viewing and inspection. 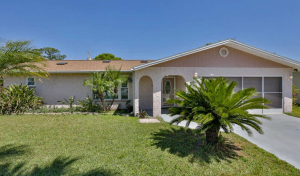 We buy houses in Daytona Beach, Florida, in as little as seven business days. Selling any type of property is no cakewalk. Every seller needs to have patience, must hire a realtor and devise a clever marketing campaign to gain the edge over other properties, invest a significant sum of money and then part with a major portion of the return to pay for inevitable expenses. There is no way to sell a house quickly, whether it is a new or an old property. Realtors need time to market a property. Buyers will take their own time to explore the listed properties. They may or may not be interested in the property you own and want to sell. It is quite possible your house will not generate enough traction. It may take weeks to have even one interested buyer. It could take you months to actually sell the property. The average wait time for homeowners selling their properties is over ninety days. You can choose to wait for a realtor to bring about some interested buyers or you can simply sell the property to Dependable Homebuyers. 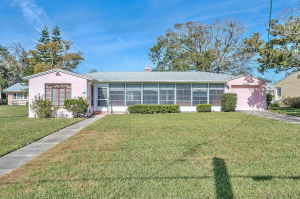 We buy houses in Daytona Beach within a week. If you need an immediate sale, we can facilitate that. The expedited approach we have can lead to the completion of the sale within seven to ten days from the first time you contact us. You can call us today and we will set up the viewing for tomorrow. We shall take no more than twenty four hours after the viewing to have a purchase offer for you. This is a cash offer, a real proposition and not any estimate or appraisal. We do not give any seller a futile appraisal that has absolutely no bearing on the real ask price or the eventual sale price. We have the funds ready to finance the purchase. You can consider our cash offer, compare it with other options that you may have and make an informed decision. You can accept our proposition immediately if you want a quick sale. You may take a week or longer to make a decision. We do not put forth any obligation for sellers. However, our commitment to close the deal immediately stands. Whenever you accept the offer, we can initiate the sale, draft the agreement, get a local title company to transfer ownership and pay you the entire sum of money, credited directly into your bank account. This entire process takes fewer than seven business days in most cases. In the more unlikely scenario, the whole process may take ten days from the time you accept the deal. Real estate agents cannot guarantee a sale. We can since we are the buyers. No realtor will be able to get your property listed for sale in a day, let aside securing an offer from a buyer. Preparing a property for sale takes several days if done right. There are other steps you may have to take to make your property desirable or the impressionability of the house may be insufficient to entice buyers. 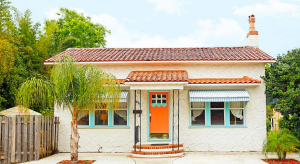 From repairs and potential renovations to staging and finally listing the property, you will be days into the process even before you can hope to get an interested buyer. It could be weeks thereon for a buyer to move to the next step and discuss the price. You may have to reduce the asking price or wait further. Before you realize, you would be waiting six months and the property will still be listed. You will also have to deal with multiple viewings, possibly open house and more tedious processes. 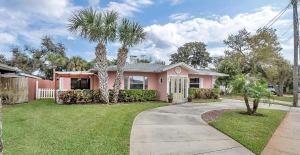 The fact that we buy houses in Daytona Beach in a span of seven business days and pay a fair price in cash definitely makes us the simplest solution for all sellers of residential properties. We are also the most rewarding option for property owners. This is purely in a financial sense. As a homeowner and seller, you will be maximizing the returns by choosing Dependable Homebuyers. You will save well over ten thousand dollars. Some property owners will save around twenty thousand dollars or more. These are not estimated figures but actual costs of selling different kinds of houses. 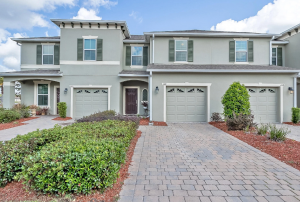 Let us highlight the specific savings you are assured of when we buy houses in Daytona Beach, Florida. The first major saving is the commission you would otherwise pay to a realtor. This is six percent of the selling price. You are easily saving several thousand straightaway. The second major saving is the closing cost. This is two percent of the selling price. You are again saving a few thousand. Calculate the two costs after considering the estimated selling price of your house and will likely arrive at a sum of over ten thousand dollars. For premium properties, these two costs can be tens of thousands of dollars. We pay the closing cost. We do not charge any commission since we are not a real estate agency. We are an investment company and we are the buyers. The elimination of closing cost and commission guarantees you a huge saving. In other words, you will maximize the return or net profit. You will save more as there is no staging necessary. You do not have to pay for any third party property inspection. Ordinary buyers need an appraisal. Sellers have to pay for this so buyers can secure their mortgage or home loan from a bank. You do not have to pay for any such appraisal. The elimination of staging, third party property inspection and appraisal will save you a few hundred, if not over a thousand. Some properties can be quite hard to stage and the process is expensive. You do not have to stage your property because we do not want any aesthetic accentuation. We will assess the property on its merits, what it actually is and not what it is made out to be. You will be selling the house in the exact condition it is in right now. We do not demand any repair or renovation. Ordinary buyers will always flag issues in all properties they view. Even if the issues are subtle or inconsequential, buyers will use them for some upper hand during the negotiation. The resulting development may be a reduction of asking price or attending to the issues, both of which cost the seller. All sellers have to consider repairs of serious issues and major renovation if the property is in a poor state. Such expenses can easily amount to several thousand. Extensive home improvement can cost over ten thousand dollars. 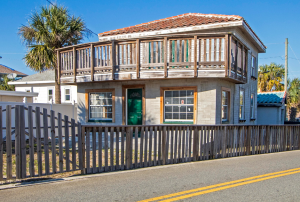 None of these have to be in consideration when we buy houses in Daytona Beach, Florida. 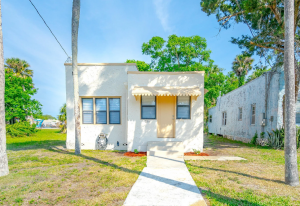 We Buy Townhouses in Daytona Beach Florida! Call (855) 741-4848 Today! There is a net saving of more than ten thousand dollars for most sellers. The saving can increase substantially depending on the state of the property and how much money a seller has to put in to make the house salable. All realtors will insist on repairs and necessary renovation so they can succeed at convincing buyers. The investments make the job of a realtor easy but have nothing to offer to a seller. In the event of a sale, the seller is only securing a much lesser return as the investment has to be accounted for. Would you want to bear so many costs while dealing with the uncertainty of a sale or should you choose Dependable Homebuyers, sell the house quickly and secure the maximum return? 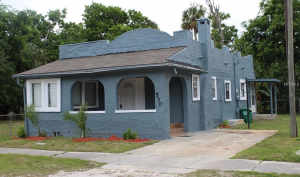 We buy houses in Daytona Beach, any type of residential property in any location and any condition. All buyers have their lists of preferences. The preferences become the criteria. They can be quite demanding. All families have a shortlist of neighborhoods. All buyers have a budget. Every person has a certain dream for their house. It is natural for people to imagine a certain property and how their life shall be in that house. It is truly daunting for any property owner to be able to satiate all the preferences of buyers. We at Dependable Homebuyers do not have such shortlists or criteria. We are interested in residential properties, unless there are some legal disputes. We buy every type of house in the city. We buy houses in every neighborhood. Some locations will always be more prized than others. Prices of properties in sought after neighborhoods will always be greater. These realities will matter when we assess any house for sale. The location, the condition, the pros and cons of a property will definitely influence the fair price. But none of these factors will come in the way of the sale. They will not serve as a deal breaker when we buy houses in Daytona Beach, Florida. You do not have to consider any repair or renovation. A residential property could have severe structural problems. We are still interested. We will inspect the problems as well, factor them in and come up with a purchase offer after due deliberation. However, you will get a purchase offer and that too within twenty four hours of inspection. We provide a turnkey system that is not just an expedited sale. You as the owner and seller have nothing to do when we buy houses in Daytona Beach. The only thing you must do is give us a call or you can fillout the form on this web-page and submit it with accurate details. We do not need many details, just the accurate address of the property, your name so we can verify the ownership and contact information, preferably both phone and email but the latter will also do. Once you inform us about the property and your intention to sell, our team will take care of everything. One of our representatives will get in touch with you to schedule the viewing. You can schedule the inspection as per your convenience. You may also choose an immediate appointment. One of our property experts, who specialize in residential real estate, will visit the house and inspect it. The thorough inspection can take some time. This is the only inspection we will carry out to determine the purchase offer so it can be extensive. You can speak with our real estate expert and have any query you may have addressed. You can also consult with them to know more about your property and if there are any structural or aesthetic issues that you may wish to discuss. We have a research team that verifies ownership and checks out all relevant facts. The expert files a detailed report, providing an assessment of your property. Our team puts together all relevant information and determines the fair price. This becomes the basis of the purchase offer. We send the offer in writing. Nothing is verbal. There is no ambiguity whatsoever. You are under no obligation to accept our offer. You do not have to accept it within any specific period of time. You do not pay anything to any of our staff. As a company we do not charge any fee. If you accept the offer, we will draft the sale agreement. We have our own legal team. We will complete the sale in a span of a week. All you have to do is sign on the paperwork.